EasyQA is a Test Management Tool to make complicated things simple, enjoy testing process and save your time. Smart test management is a way to produce reliable software and improve team work. It is crucial to save time while testing. It’s possible with EasyQA . Testing tool development was initiated by Thinkmobiles quality assurance team. The product idea is based on the experience gained from solving the most complicated issues in mobile app development. It’s essential to visualize the quality assurance process in order not to miss a thing in mobile app testing. Create, sort and manage test objects in user-friendly EasyQA. Beside the easy test management the EasyQA has a smart resource management system. Transparent testing process is what you are looking for. Manage your testing team in order to achieve the best results. Customize your bug tracking system to track only what you want, don’t waste your time. Use agile board to visualize the workflow, create tasks and issues, attach files and leave comments. Catch the crashes and convert them into issues in one click. Use TEST RUN option to notify the quality assurance team that the development phase is over and it’s high time to start testing. Request to develop your own test features to empower the testing tool and develop trouble proof mobile solutions. CATCH CRASHES - Another extremely useful feature offered by EasyQA – is an opportunity to catch crashes on Android and iOS mobile applications. TEST OBJECT SHARING - The user create a new project to improve quality of the test object with EasyQA. We do not require to upload a test object immediately or to choose a particular platform. ISSUE REPORTING - Any software development process does not go without bugs. This may be defects of varying complexity and have diverse effects on the application. Therefore EasyQA offers to catch, record and manage each issue, task and crash in one place, using the Issues page. 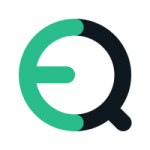 TEST PLANNING - EasyQA allows you to execute test planning of all your processes. For this you can use the Test Plans tab of Test Plan Activities page. All project members, except those who have the Developer or Viewer roles can use this function. The last two can view only the information in this functionality block. EASY TEST EXECUTION - Start a test execution at any time. Even if you or someone of the project members have not completed the test plan yet, you can start manual testing. Begin the test execution, use the Test runs tab on the Test Plan Activities page. TEST REPORTS - When a software tester has done some part or all of the QA work, he/she needs for reporting. EasyQA offers a fast process of building graph reports on the Test reports tab on the Test Plan Activities page. MANAGE ORGANIZATION AND PROJECT - Start with EasyQA by creating your own organization and project. To do this: click on “Add organization” button on the top bar menu. Or click a “Create new organization” button on My Organizations tab within My Profile page. TRACK ACTIVITY AND HISTORY - Any user (regardless of the role: owner or viewer) can track activity of project members and the progress of the project. Integrate with GitHub - Most modern systems offer integration with other services to make changing from one system to another much easier and to spread their functionality wider.